Thanks for reading this article and I hope you enjoyed it! Are you Interested in writing? How about making money? Let me refer you to InfoBarrel and start making Passive Income today. Do you know that even when you live in a small space like an apartment unit, you can still take up vegetable gardening? You can raise vegetables and grow herbs just like in backyard gardening even when you just have a small space in your home. You can grow and eat your own veggies and even concentrate on organic gardening methods that will allow you and your family to eat healthy vegetables all year round. Space will never be a problem as long as you have an area in your home with plenty of fresh air and sunshine. Start by looking for the best place in your apartment where your plants can get a lot of air and of course sunshine. A balcony would be a great idea while a kitchen window may be the last option for very small spaces. Your next move is to think of the veggies that you would like to plant in your apartment vegetable garden. Experts suggest that you decide on the plant you want to grow according to the veggies that you usually use the most, what you and your family would like to eat, hardy vegetables and of course you also need to consider the season or climate where you are located. Tomatoes, lettuces, peas, zucchinis and peppers are very easy to grow even in a small space and may need very little tending. For herbs, you may plant rosemary, thyme, sage, mint and basil or any herb that you commonly use for cooking. You can grow these in just a small planter or in small cans and empty ice cream containers. Be sure to place holes in the bottom of each container to effectively drain water out of the pots and planters. Some plants may need room where it can crawl and branch out. Tomatoes for instance may climb along a trellis or you may use sticks to create stalks where delicate braches may move about. There are also veggies that do not grow too well with direct sunlight or too much water so be sure to research on the ideal veggies and herbs that can fit your small apartment vegetable garden. Vegetable gardening and organic gardening is very gratifying especially when you are able to successfully grow and eat your own veggies and herbs. Eventually, you will be able to raise your own vegetables even in a limited space when you do your homework, plan and pick the ideal plants to grow. 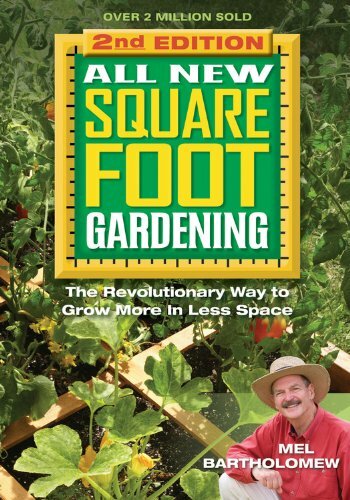 Excellent resource for small space gardening. Thank you for the practical info. I will start growing tomatoes. There is nothing better than Home Grown Tomatoes! As a small space gardener I truly appreciated your article. And so two big thumbs from me and even a rating.